Preliminary irrigation audit to identify water waste and water/money conservation strategies. Assessment of your drainage system in the effort to capture and utilize rain water on-site, thus saving water. Assessment of your plant material with recommendations for water saving plant choices and drought tolerant lawn options. Valuable information on simple, green technologies such as composting, mulching, greywater systems and edible landscaping. Once a strategy has been identified, a modest investment can help your landscape to benefit the local ecology, save you money on water and maintenance costs, and enhance the beauty and usability of outdoor spaces. Our design strategies tie new landscaping into existing site features and the home’s architectural building style for a landscape “make-over”. 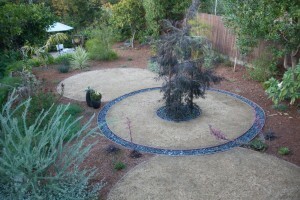 What are other benefits of a landscape make-over?